Newhaven Display's full-color OLED glass display products are available in sizes from 0.6 inches to 1.69 inches and offer an array of color options. The smaller sizes offer 65,000 colors and the larger sizes offer 262,000 colors. The displays have an ultra-high contrast rate. The 1.69 inch OLED glass display boasts a high contrast rate of 2,000:1 and the 0.6 inch to 1.5 inch OLED glass displays are 10,000:1. 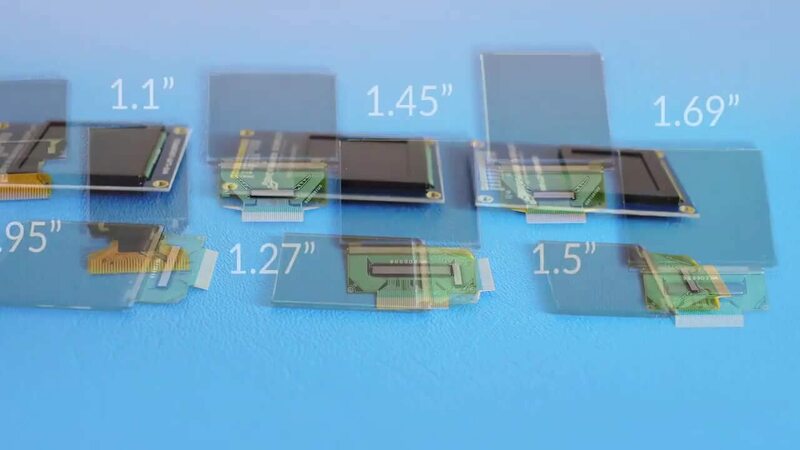 The OLED glass displays are ideal for small consumer wearables or handheld device applications that require a small footprint. They have no backlight resulting in a true, rich black. The displays also have an amazing refresh rate, viewing angles greater than 80°, and can withstand harsh environments due to their extreme temperature range. Seven sizes: 0.6 in., 0.95 in., 1.1 in., 1.27 in., 1.5 in., and 1.69 in.